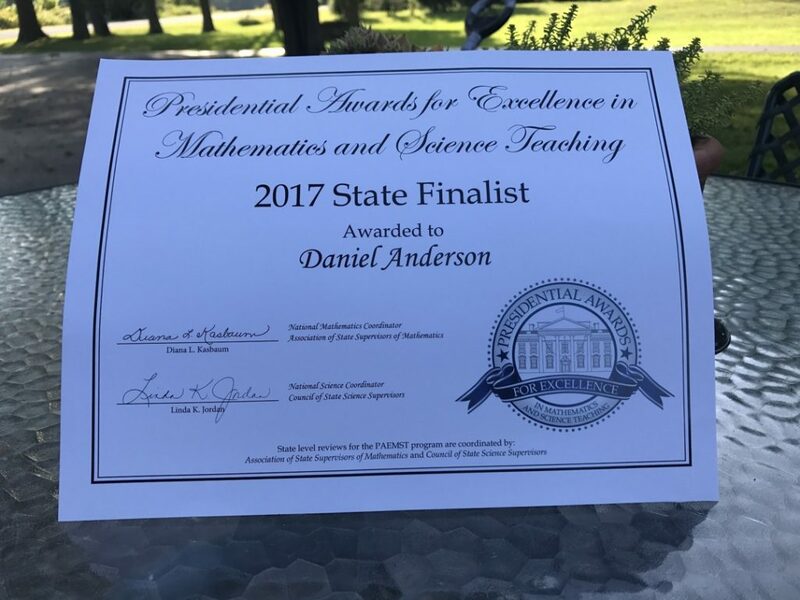 I’m happy to let you all know that I’m a New York State finalist for the Presidential Award for Excellence in Math and Science Teaching (PAEMST). I worked on the application this past spring. I enjoyed the reflective nature of the application; it required a detailed description of a recorded lesson, and also a detailed explanation of my overall teaching philosophy. I’m not sure how many finalists have been selected in New York (probably 3 math and 3 science), of which they’ll give the award to at most two teachers from New York next year in Washington DC. Best of luck to all! Congrats, Dan! A well-deserved honor. You might be waiting a while, so enjoy your time as a state finalist! Thanks Patrick! It’s all gravy from here. Congrats! I’m not even a little bit surprised by this news.